Stray Rescue of St. Louis has a committed senior management team that leads dedicated staff and volunteers to further our mission everyday. 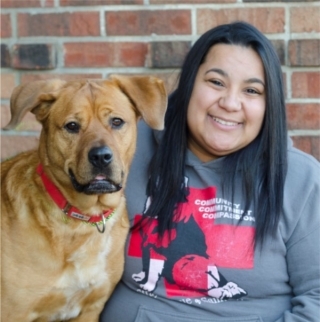 Originally from Spartanburg, SC, Cassady has always been an animal lover and always had them as part of her family. As a child, her family owned horses, and she would love to ride and help her uncle care for them. For over 15 years, she also showed the horses, winning for both Western and English riding. Cassady moved to St. Louis with her partner in 1999 and became involved with Stray Rescue about 5 years later. 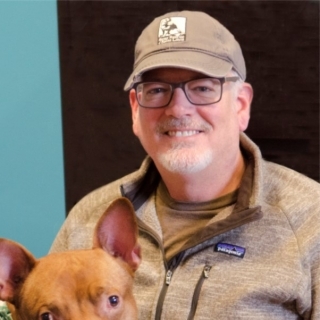 Over the next ten years, Cassady supported Stray Rescue both personally and through her business and quickly grew to love the organization and mission. 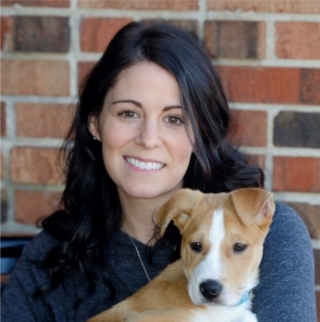 Cassady joined Stray Rescue of St. Louis as a staff member in 2014 as the Volunteer Coordinator. 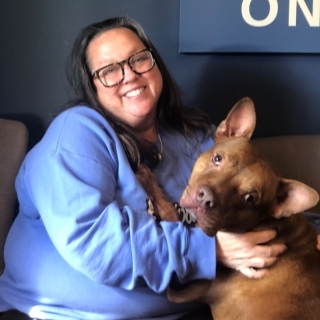 Utilizing her customer service and business skills, she was quickly promoted to Foster & Adoption Manager, Operations Manager and now proudly serves as Stray Rescue’s Executive Director. 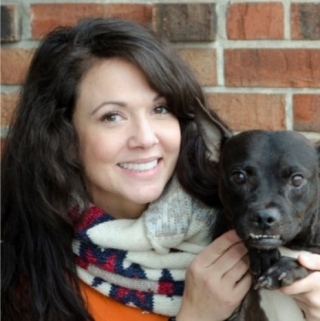 Cassady brings nearly a decade of experience in Business Management to Stray Rescue, having owned and operated Luvy Duvy’s, a beloved St. Louis grill and meeting space. 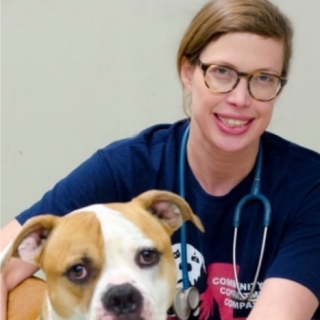 She is also an active member of the Humane Society in St. Thomas, U.S. Virgin Islands, and served as a Board Member of the Bi-State Pet Food Pantry for over two years. 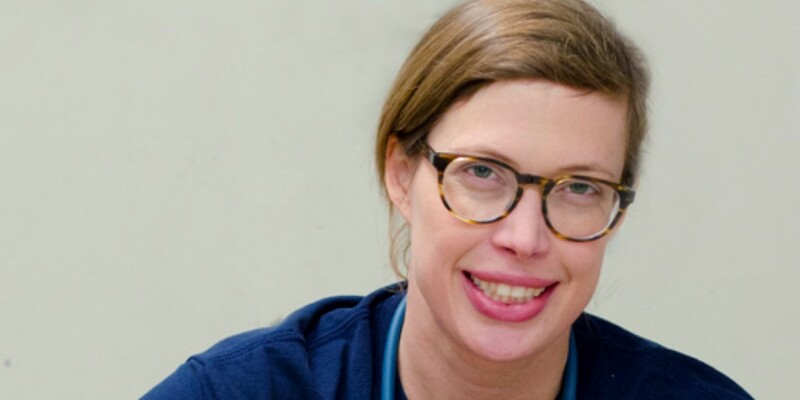 Cassady lives happily with her partner, five dogs and three cats in the Benton Park neighborhood of St. Louis. 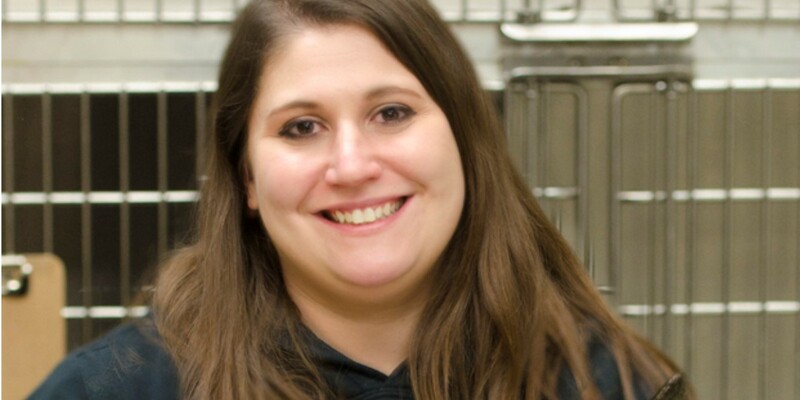 Kerrie has worked at Stray Rescue since March 2012. She first started as an intern, and was hired at the end of her internship. 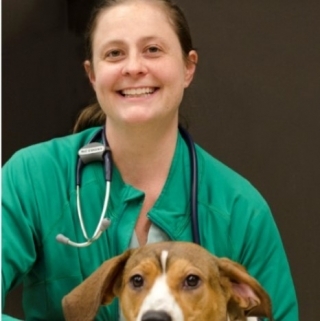 She attended Southern Illinois University Edwardsville with a degree in Mass Communications, and also went to Hickey Vet Tech Institute. 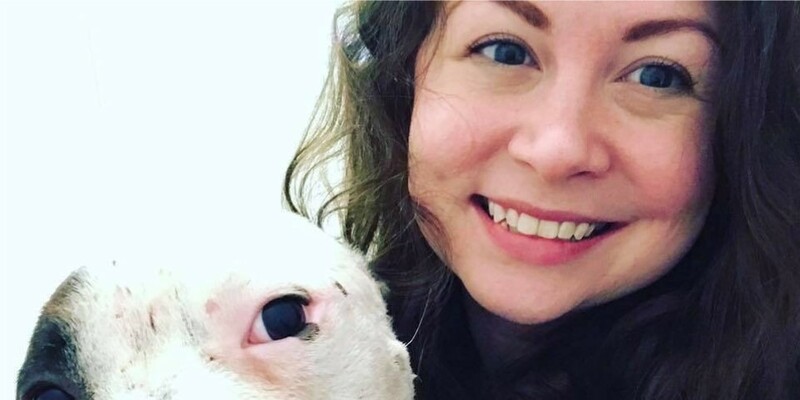 Kerrie has 2 pitbulls named Banjo and Gemma, which are both Stray Rescue alumni. She consideres them her first children and are great siblings to their little human sister. Kerrie would also like to add, " I knew I wanted to work for a non-profit and no- kill shelter from the very beginning of Vet Tech school. There was something about helping animals heal and then being rewarded by watching them find their forever homes. It truly is what gets me through the difficult cases/days. 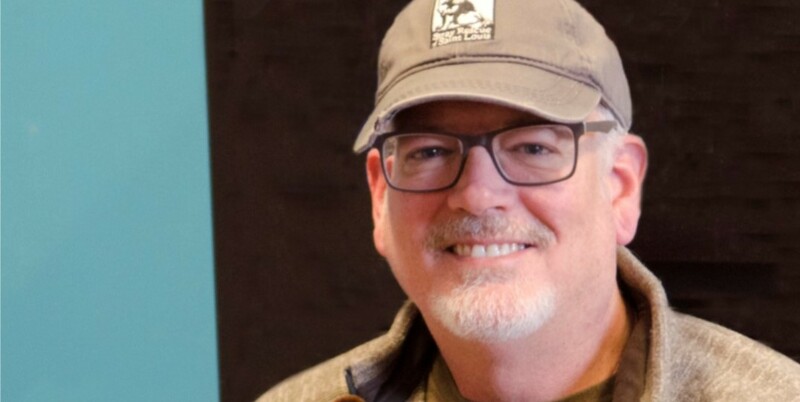 I have seen a little bit of everything here and gained not only professional experience, but truly life changing moments throughout my employment. I cannot imagine working anywhere else. I cannot even begin to express how lucky I am to work with people who truly understand that cats and dogs are not property, they aren't simply fixtures in our home, they are vital members of our family and deserve the absolute best chance at life. 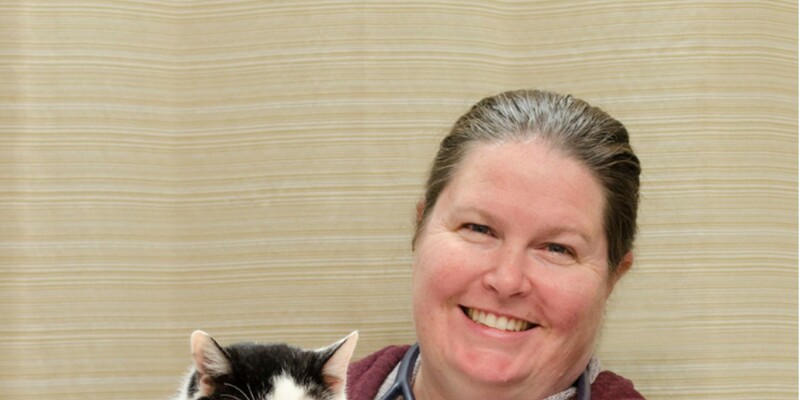 Julie has been with Stray Rescue for 4 years. 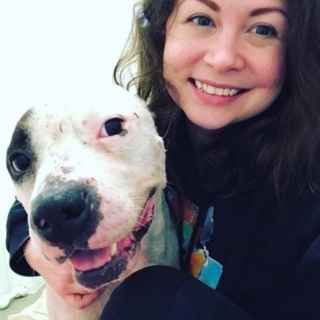 After finishing beauty school at The National Academy of Beauty Arts, she joined Stray Rescue and moved into a leadership role. 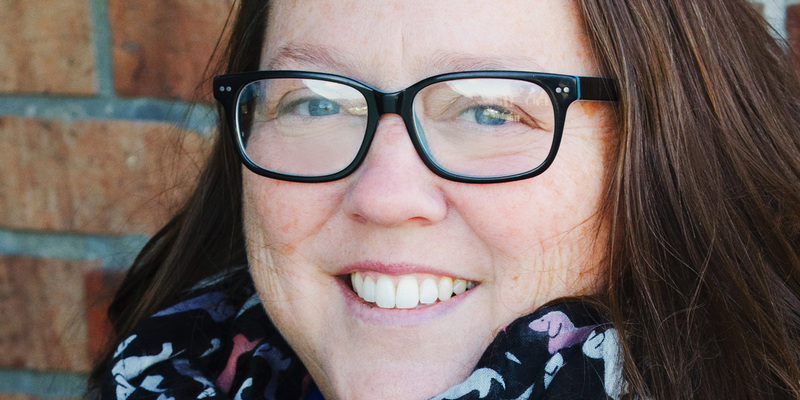 At home she has two dogs, Jack & Vincent, and a cat named AnnaCat Marie. Andrea has been with Stray Rescue since December of 2014. She majored in Business Marketing & Communications at Central Methodist University in Fayette, MO. She also played volleyball in college. She is the proud mama of 3 dogs, Lux, Scout, and Archie, and a kitty named Louie! Grant has 3 dogs: Olive, Joey, and Clara, and a kitty named Floyd. Kiarra has been with Stray Rescue for seven years. 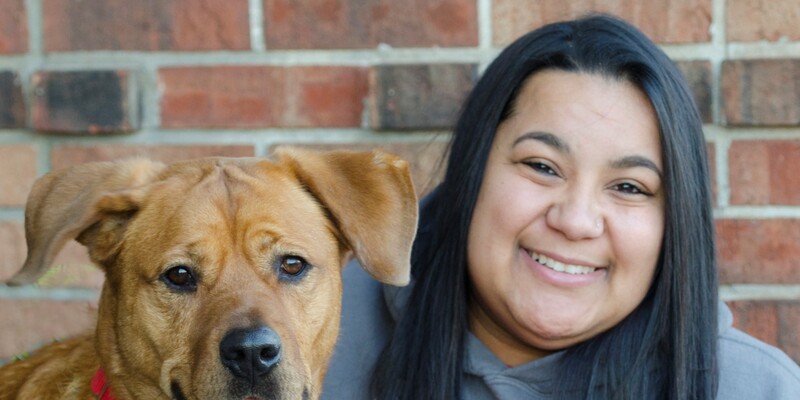 She started working at Stray Rescue fresh out of high school & was hired as a Caregiver. 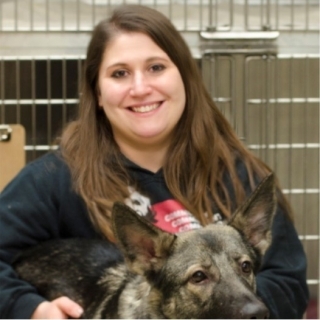 After a couple years she moved to the Training Team where she taught training classes, worked with some of our dogs needing rehabilitation and did private lessons. A few years later she was promoted to the Assistant Shelter Manager position. 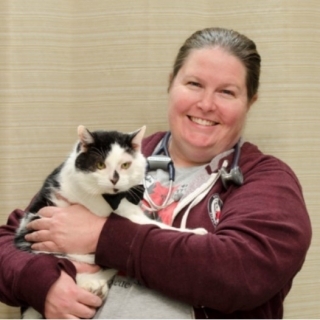 "Now I am the Shelter Operations Manager here and love it! I oversee the day to day operations of the shelter and shelter staff. This is truly the most rewarding job I have ever had. Seeing these dogs everyday really brings a smile to my face!" She has three dogs of her own, all from Stray Rescue of course! Chucky (8) , Metra (8) and Macho (1) and she couldn’t imagine her life without them! Kasey has been with Stray Rescue since 2013. 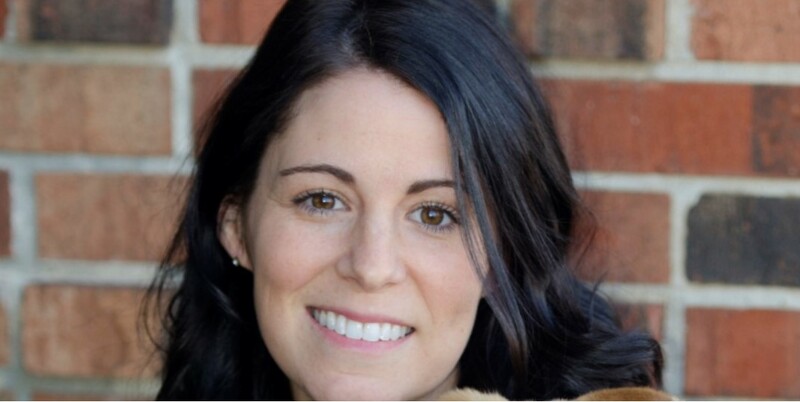 She was on the caregiver and adoption/foster team before moving into her role as accounting manager. 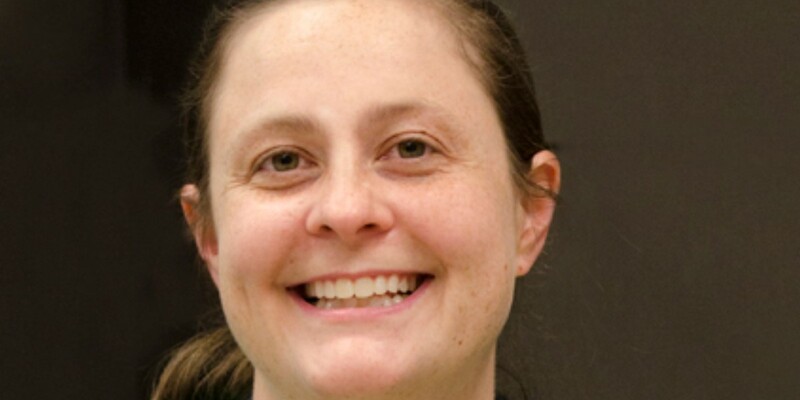 She graduated from Webster University with a Bachelor’s in Accounting and is currently pursuing her Master’s in Forensic Accounting and planning on sitting for her CPA. She has two dogs named Giles and Noah and two pet rats named Dee and Hannah. Click Here to view or download our IRS Form 990.